Latrese fuses her high energy with brilliant vocal ability in each song and performance – crafting memorable musical experiences you must see to believe. She is capable and comfortable in various performance configurations. Latrese has the talent to captivate a small audience in an acoustic set or bring a larger audience to its feet. She has the ability to deliver a solid set list for R&B, Soul, or Jazz enthusiasts. Her show package can be tailored to your venue and event needs. 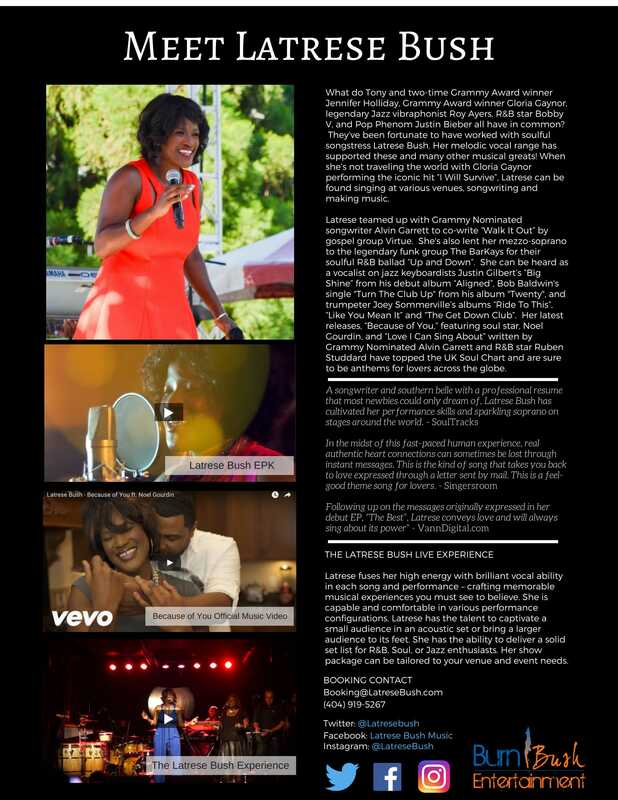 Interested in booking Latrese at your venue? Click here for Latrese Bush’s Booking Sheet.